Credit: Ella Heeney and Port Jet Cruise Adventures via Storyful. 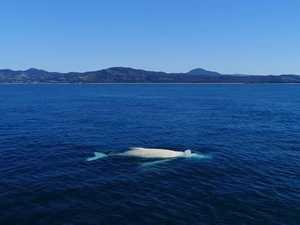 Environment Whale season is in swing and the humpbacks are feeling playful on their northbound journey through Great Barrier Reef waters — but where is the white whale? 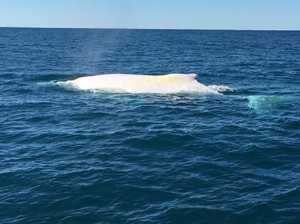 News MIGALOO, the famous white whale, could be passing Sunshine Coast waters in the next day or so after being spotted on the Gold Coast early this morning.